The Alternative Mobility Research Triangle (AMRT) is a network designed to explore alternative models of creative mobility. 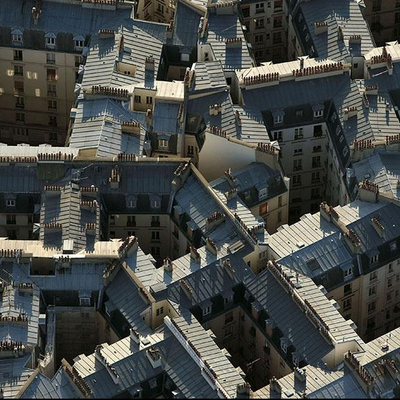 The triangle is comprised of Pixelache, Makerspark (Stockholm) and Wabalinna, Maja (Paide, Estonia) and is augmented by the Urban Institute in Riga, Latvia. AMRT will investigate various practices of worldwide artist-in-residency programmes and seek new potential structures, possibly incorporating models such as decentralisation, peer-financing, and experimental hospitality. AMRT has been meeting between summer 2014 and spring 2015, sharing ideas, resources and strategies about each organisation's distinct approaches towards their audience, both peers and public. The main public output of the project will be a mini-festival in Paide in May 2015. Over a weekend, Pixelache and Makerspark will offer workshops, presentations and performances to the public in Paide, testing the experimental residency launched recently by Wabalinna maja. Programmes will likely involve maker-culture/DIY production, ecological sustainability, and their relationships to the art field in each respective locality. AMRT is supported by the Kulturkontakt Nord Nordic-Baltic Mobility Fund. 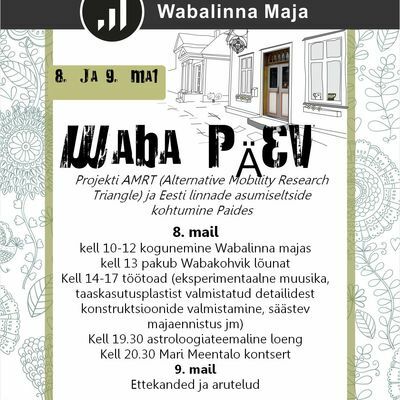 Pixelache participates in Wabad päevad, a two day festival in Paide, Estonia that is the output of the Alternative Mobility Research Triangle project. Wabad päevad ('Free days') is hosted by our partner in AMRT, Wabalinna maja, and features contributions from several Pixelache members as well as from our Swedish partner, Makerspark. Wabad päevad is open to the public, and Pixelacheartists will be short-term artist-in-residence at Wabalinna maja's recently launched residency programme, built through the research and discussions of the AMRT network since 2014. Residency programmes have been an established methodology for bringing perspective to creative practice through mobility. Helsinki has been the home of a number of established residency programmes;both artistic ones such as HIAP or Linnunlaulu and academic/university practices. At Pixelache, we have conducted a number of production and micro-residencies over the years, and the issue of creative mobility has been a major current in our Pixelversity themes.